What is Your Winning Waterline & Why Should You Care? If a “winning waterline” is a place where we feel safe and comfortable, how do we raise that waterline to challenge ourselves and reach new goals? Contributor Julie Saillant provides three steps to raising one’s game. We’ve all been there: you are warming up in the ring and decide to change things up by practicing a new maneuver you learned a week ago. You have tried it previously with very little success, but this time you just know your horse will remember and will actually perform it. Nothing! He gives a very small try and goes into a comfortable pattern you both know like the back of your hand. What goes through your mind? I’ll bet it’s the first. WHAT IS A WINNING WATERLINE? Inside all of us is what I call a “Winning Waterline.” For equestrians, a winning waterline is something you must understand if you want to change where you are and move on to your next success. A winning waterline is a place in your mind that is comfortable, happy, and most importantly, safe. 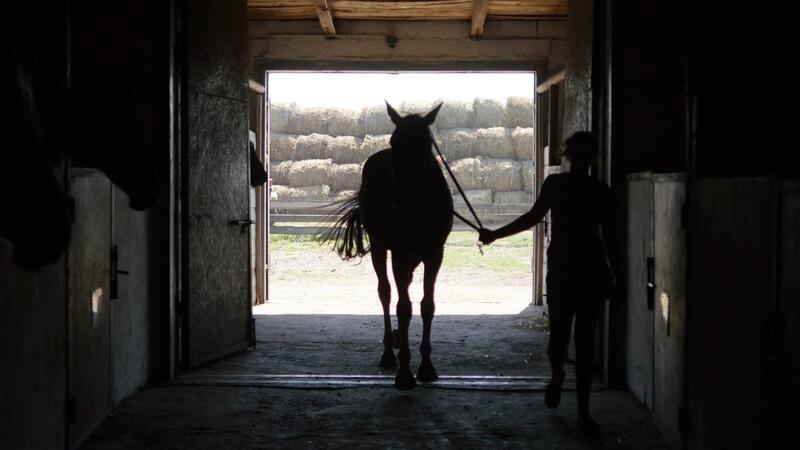 In your mind’s eye, you have an idea of what success and winning looks like with your horse. For some amateurs it may be a picture of a blue ribbon at a local show. For a more seasoned competitor it may be the next level in dressage, and for a pro it may be winning on an Olympic stage. The point is, there is a comfort level there for you both as a team that incorporates the training you do and the goals you have for yourself and your horse. When you set new goals that are big and even scary, your brain sees those goals outside your current winning waterline, which feels very uncomfortable, and your brain will try to bring you back to where you are “safe,” to preserve the feeling that all will be well if you just stay where you are. 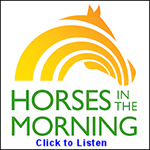 This happens unconsciously and you may be self-sabotaging yourself and your horse with negative thoughts and self-talk. Here are the three ways to change a waterline! Consistent daily action is optimal when trying new and different challenges with your horse. Ask yourself this question – what is my next best level? What would I be performing at my next level? 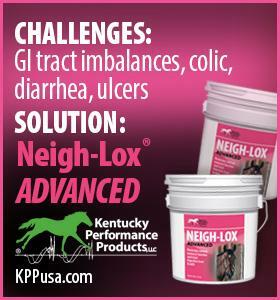 How much higher would the fences be or what type of challenges would me and my horse work on at that next level? These types of actions should be more difficult and may even scare you a little, the key is to do them consistently and under supervision if possible. Most people stretch themselves towards a new goal, try it, fail, stop and never try again. To raise the waterline, you need to bust out of the current “safe” box you are in and go towards a brand-new goal. See yourself in a whole new scenario, maybe even a new discipline or with a new horse, and begin to take daily action towards that new goal. 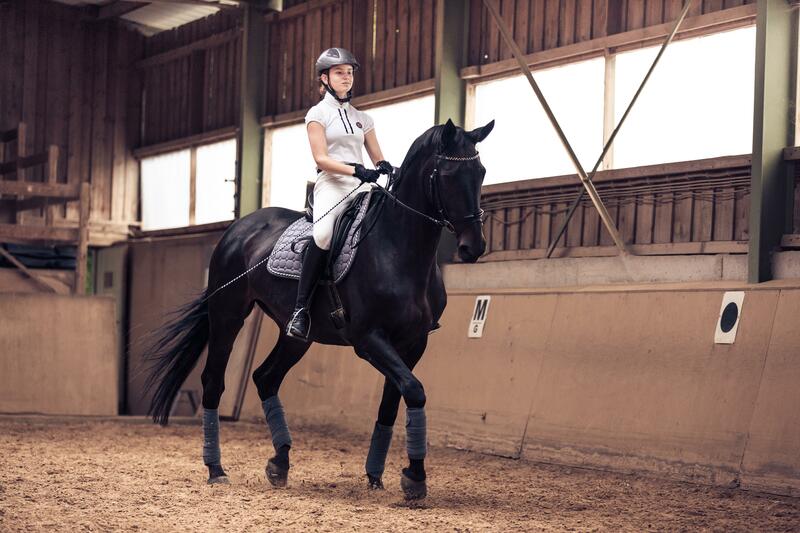 The goal is to stretch and try different challenges with your horse as often as you can. HINT: Make it as fun as possible! 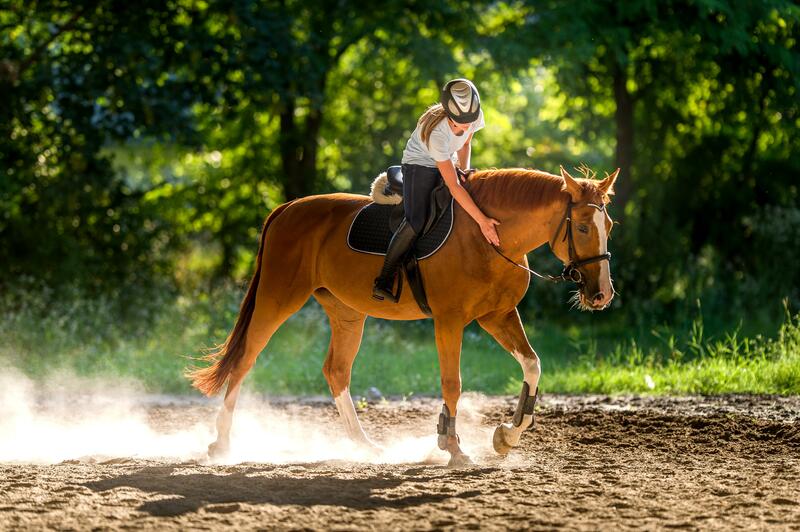 When horses are learning something new, they will get uncomfortable as they are moving their bodies in a new way. Make sure you have a safe comfort zone for you both to go back too and keep it fun. Bring in some cones or rails to go over, even if it’s goofy. Bringing in the fun makes a world of difference for both of your psyches. Consistency is key for you to stretch your waterline. The more frequently you do things differently, the more often your mind will look for ways to make you more comfortable in that new waterline. Once you have changed things up at least four or five times, you will begin to see that new winning waterline as being comfortable instead of unobtainable. You can change your waterline by being in someone else’s presence who has a higher winning waterline than you do, i.e. a trainer who has gone where you want to go. A friend or fellow rider who has more experience and has mastered the level you are attempting to go to will work as well. In essence, you are taking on their energy and experience into your electromagnetic field, even if it’s just for a short time, while you and your horse are learning. Here is an example: last year, I had a very difficult time lunging my horse. He had badly broken my finger during a session and from then on it seemed he had my number when it came to lunging. At least that’s what I believed. When my trainer started working with him, he lunged like a pro for her. I fumbled for words and said “I guess it’s me. I must be doing something very wrong for him to be so good at lunging, but he won’t perform when I ask him to, but will for you.” I felt anger at my own feeble attempts that were not bearing fruit and deep shame that I was not able to get him to do something that looked so easy. The next time we lunged, she would start him off and then I would take over, but she would always be behind me, literally transferring the energy from her to me and down the line to him. When you are training with someone who has experience and has excelled at where you are attempting to go, you will gain from their knowledge and transfer of energy, and both you and your horse will feel it in a positive way. Remember when I asked what goes through your mind when you are training your horse? One of the best things you can do is to learn how to be mindful — meaning you are 100% present when you are with your horse. From the time you are at your horse’s stall door, to when you are returning to your car, you may be deep in thought about what happened during the day. If you had a fight with your boss, got cut off in traffic, or were frustrated at the long line in Starbucks, all of those experiences can lead to anger, frustration, anxiety, etc. You carry all of those emotions with you when you go visit your best friend unless… you can clear out those negative thoughts and bring in positive understanding to replace them. While you may be in the past, thinking about the terrible day you had, or in the future figuring out how you will handle the meeting in two days, your horse is in the present. Horses are in the present and focused on the energy you are sending out towards them, so the things you think become very important. It makes sense to train yourself to be as present as possible so you can enjoy the precious time you have with your best friend, as it’s a rare gift to be with these master teachers. Empty out all the negative thoughts in your mind and concentrate on first raising your vibration away from chaos, anger, anxiety, and frustration towards happiness, serenity, and balance. The fastest way is to be grateful. Bringing in gratitude has been found by science to be the quickest way to bring in happiness. Once you have brought gratitude into your mind, you simply breathe in deeply and open your heart to the here and now as you breathe out. Concentrate as fully as you can on just you and your horse and the wonderful experience that happens when you are together. Employ a playful, fun attitude and enjoy as many aspects about your horse as possible including tacking up, riding, and grooming, always remembering to be as present as possible. You will be amazed at how different things look when you are attentive and in tune with both yourself and your horse, and aren’t thinking about the work that will be on your desk in the morning. Incorporating these three steps into your daily routine will be a game changer for you and your relationship, and riding with your horse. 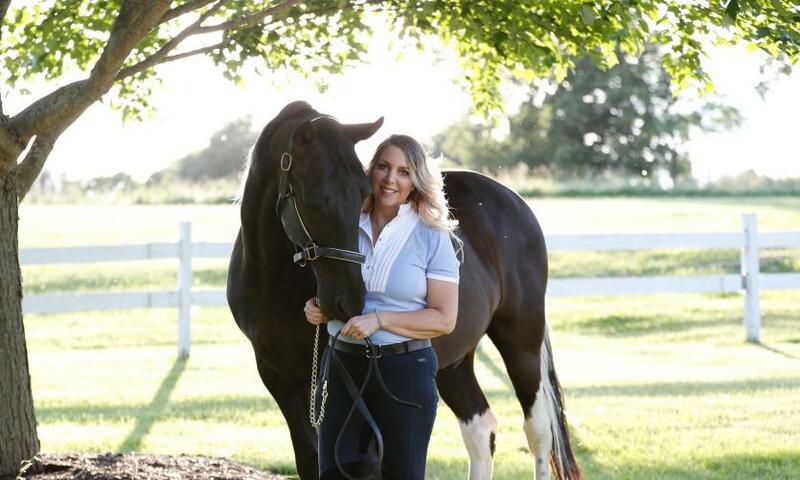 Julie Saillant is a Certified Life Coach, Empath, Equine Communicator and Lifestyle Influencer. Her goal is to empower you to awaken your intuition and motivate you to take inspired action to live your best life. She is the bridge between horses and people and is here to give you the knowledge and tools to interact with your horse on a deeper level. Using her empathic intuition, Julie will guide you towards a stronger understanding of what you want your life to look like, while giving you the means to manifest your biggest dreams and make them a reality. Learn more at www.motivation-addict.com.